Lepidopterophobia: Fear of butterflies. Hmm, hard to imagine. I DO know that caterpillars scare the garden pants off some folks. 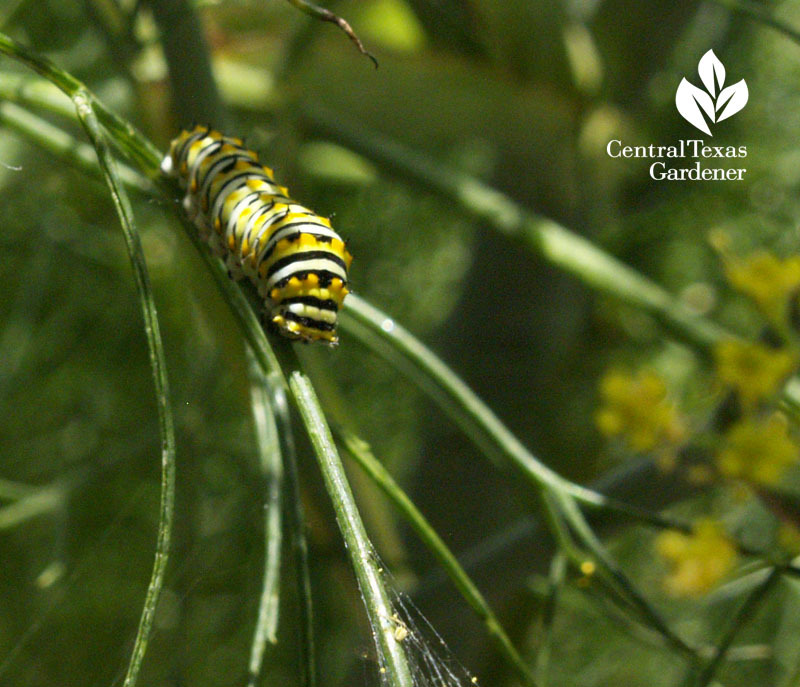 But the stork didn’t bring this Swallowtail larva to the dill at Travis County Extension. Another fear: tidiness in all seasons. To get the butterflies to your house in the first place, that can mean some plants that are messy or dormant between beauty pageants. 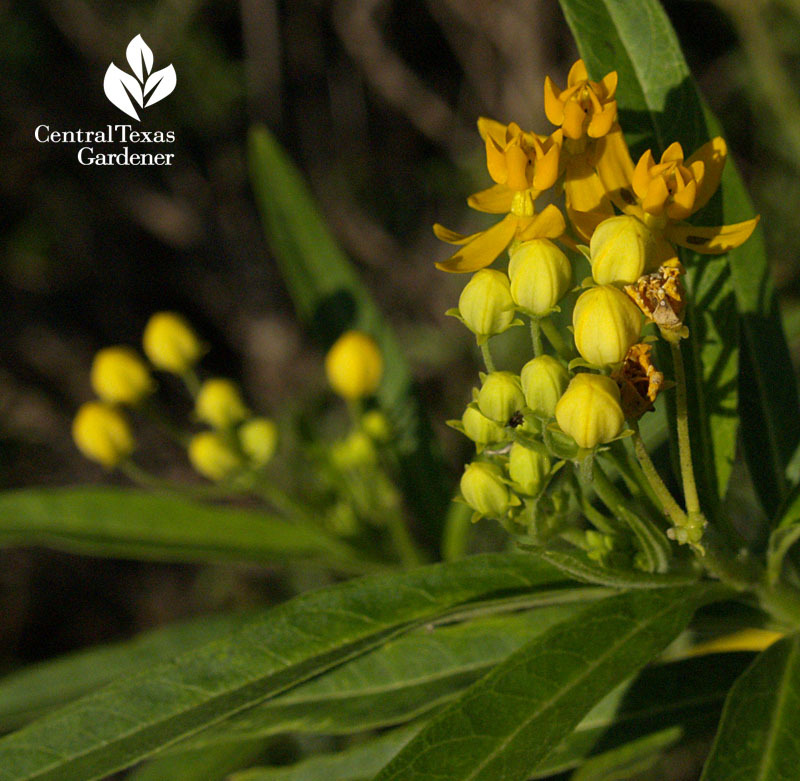 That includes native milkweeds (Asclepias) and Mexican A. curassavica, nectar hosts for all, and exclusive breeding grounds for Monarchs. A. curassavica, including a gold variety, is usually what you’ll find at nurseries. 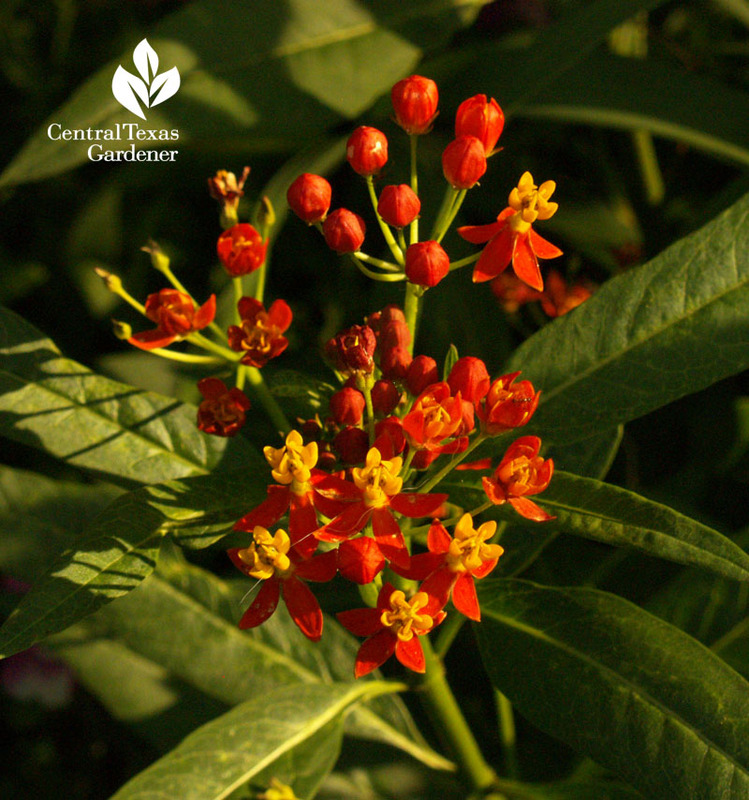 Mexican or Texas wild olive (Cordia boissieri) is a lovely large shrub or small tree that draws butterflies to its flowers and birds to the eventual fruits. Cordia parvifolia is a smaller, little-leafed version with similar flowers. 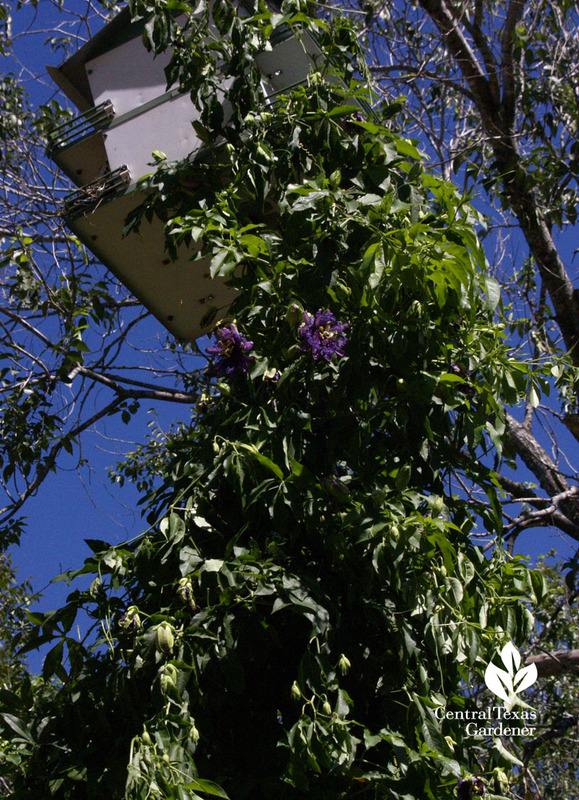 Some, like passionflower (passion vine) can go nuts, like this tower on my Purple Martin house. Mine’s not native, though bought locally, but is usually busy as a nectar flower and foliage larval food. Business has been slow in this drought, but it’s picking up. 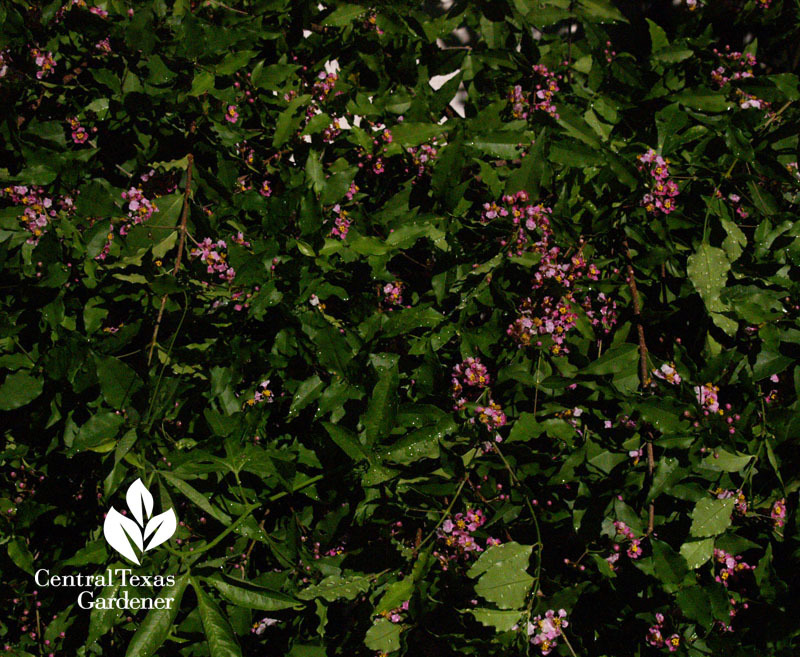 I expect flyby customers soon, since my Barbados cherry (Malpighia glabra) is cloaked in flower food. Foliage is larval food for some Skippers and Cassius Blue butterfly. Right now, my drought-tough native golden groundsel (Packera obovata) is a pretty groundcover in part shade. 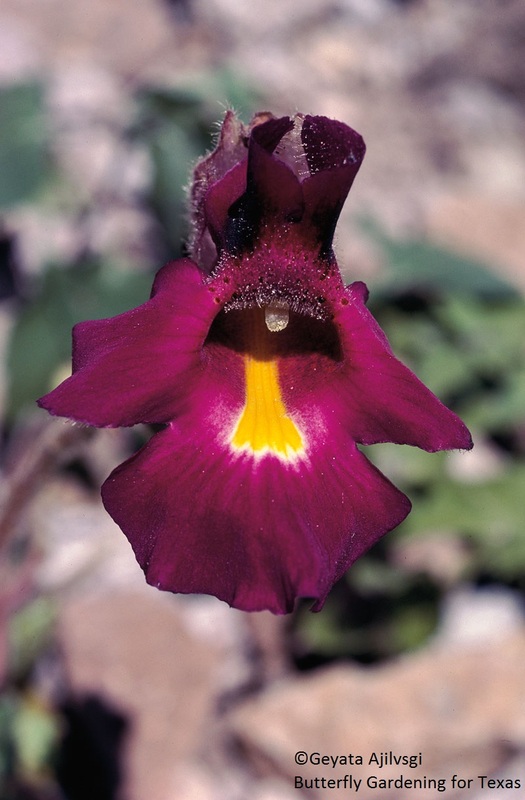 As early as February, its flowers feed little bees and butterflies, including Bordered Patch. 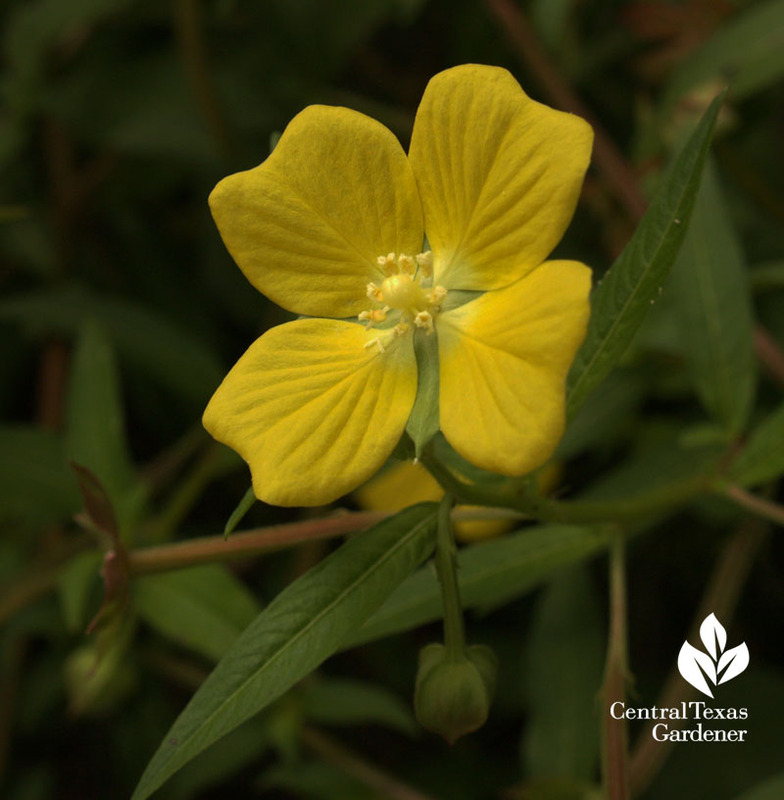 One I can’t have is Mexican primrose-willow (Ludwigia octovalvis), host plant for the Water-primrose hornworm moth. 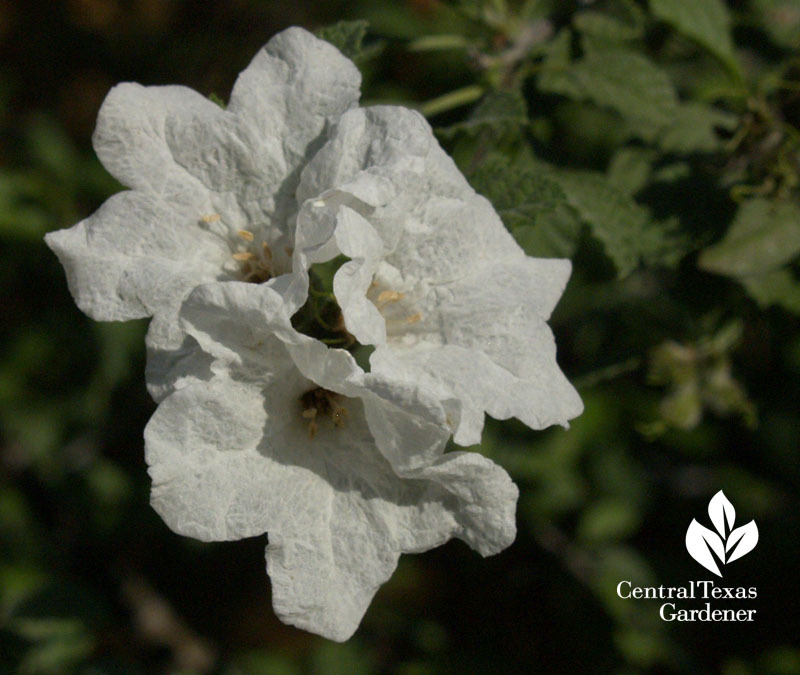 Blooming July – August, it likes moist soils or ponds. I got this shot at The Lady Bird Johnson Wildflower Center. 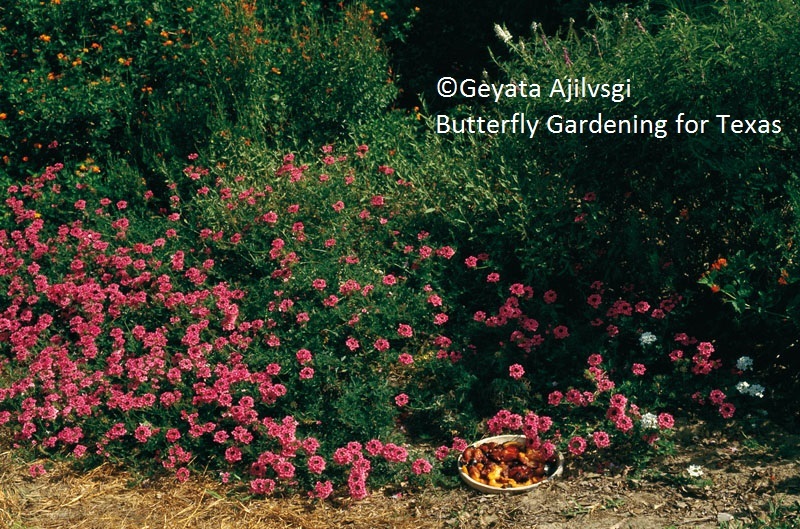 My first go-to guide for butterflies was Geyata Ajilvsgi’s Butterfly Gardening for the South. 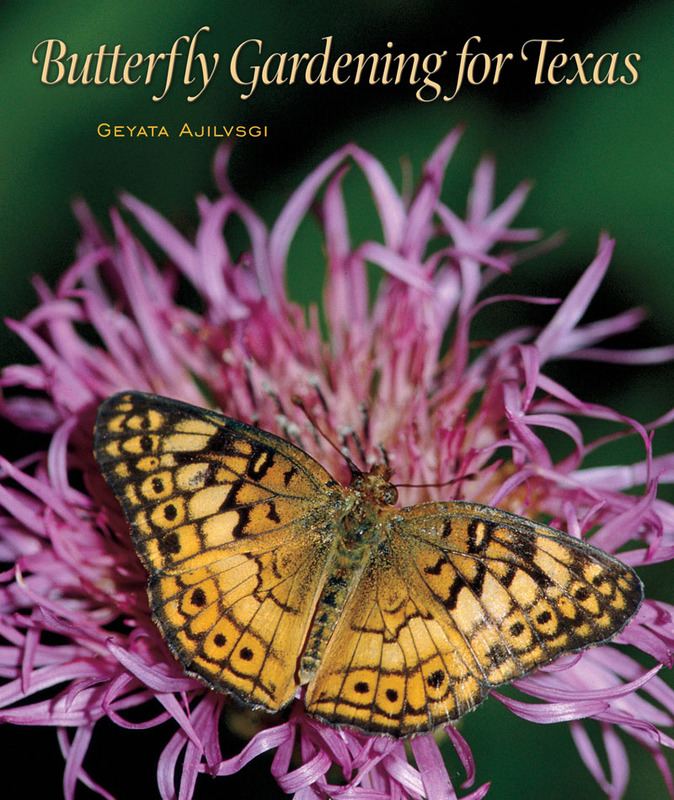 I refer to it often, so I’m thrilled about her new edition, Butterfly Gardening for Texas! 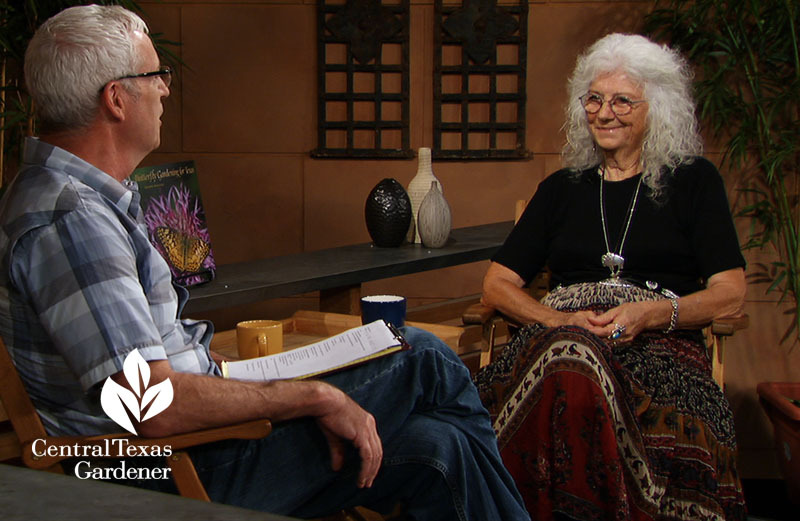 This week, Geyata joins Tom to take a look at things from a butterfly’s perspective. She reveals how flowers attract butterflies through color and nectar guides, like on this Devil’s claw (Proboscidea louisianica fragrans). Find out why we want to add over-ripe fruit to their diet and create puddling spots for males. 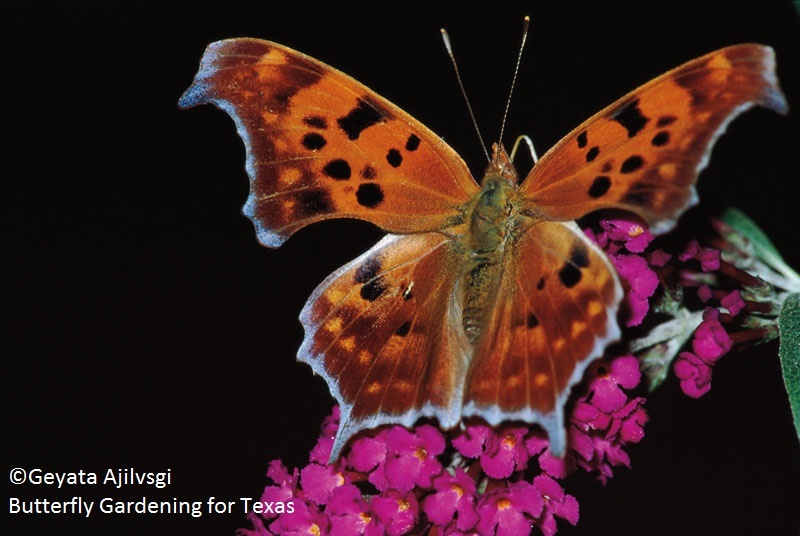 Through Geyata’s conversational and even poetic narrative, Butterfly Gardening for Texas packs in the facts, paired with her beautiful photographs, how-to templates and designs. In Butterfly Profiles, see who’s in your garden and discover its life cycle, range, nectar and larval food, flight time, mimics, and rituals. 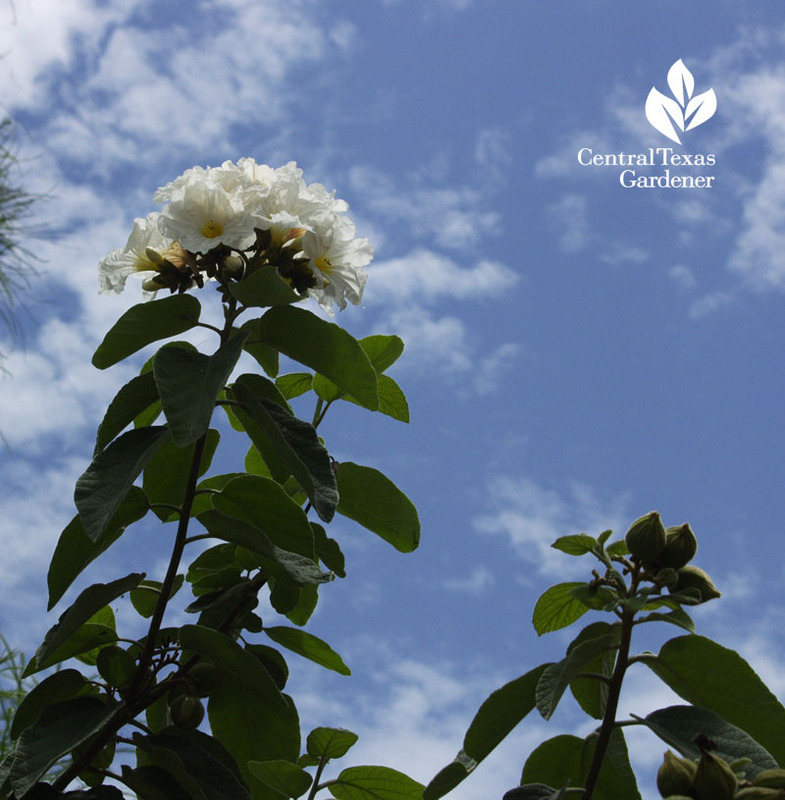 Geyata profiles plants by trees, shrubs, vines, and herbs, including cultivation and propagation details. Under Larval Plant Profiles, we learn that Common Checkered Skipper feeds on Globe mallow (Spharelcea coccinea). 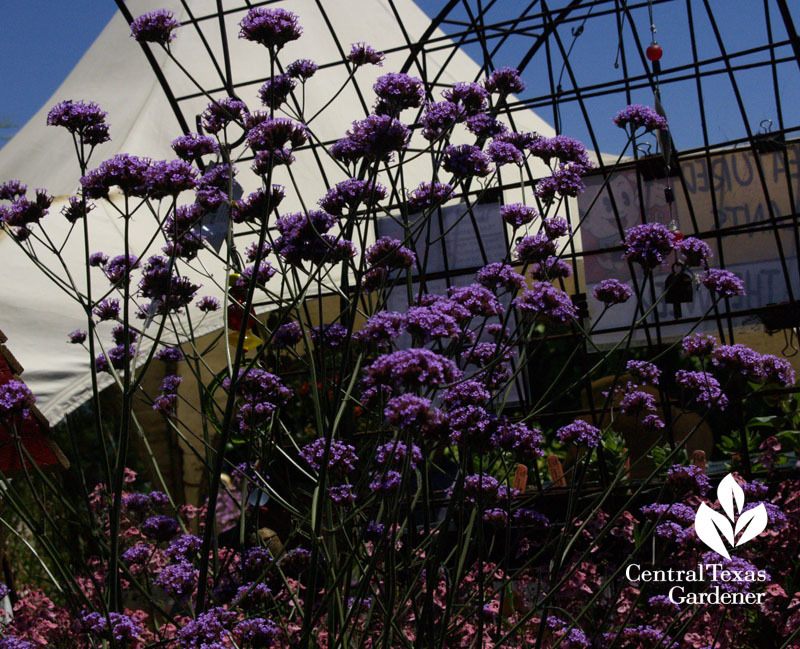 In Nectar Plant Profiles, find out more about Verbena bonariensis. What impacts nectar and fragrance? You might even run into Geyata herself at The Natural Gardener, where she works seasonally! 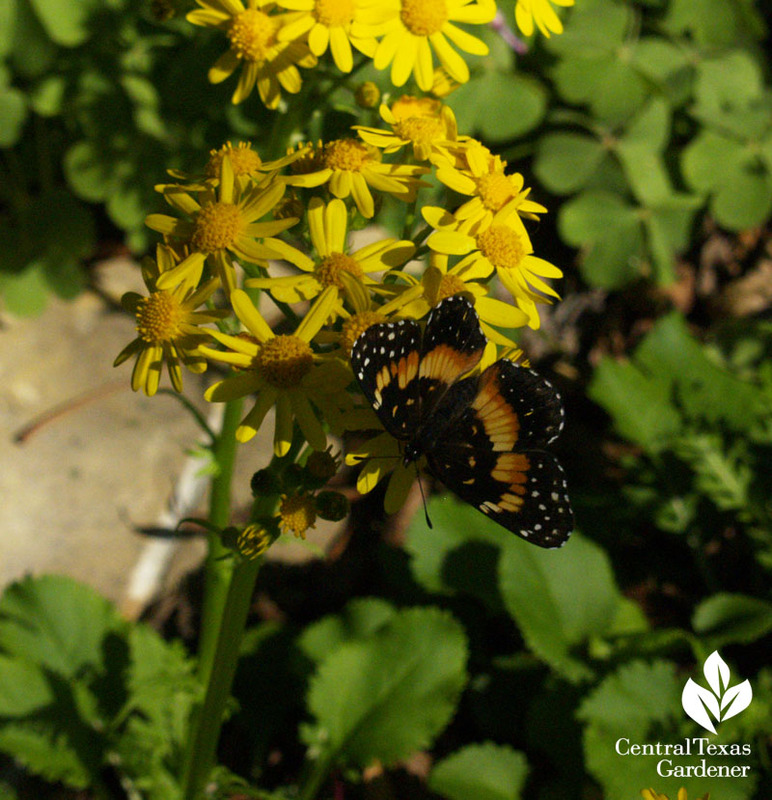 On tour, Anne Bellomy planted grass for the butterflies—but it’s not the type you mow. The native clumping grasses, like Lindheimer mulhy and deer muhly, make nice hide-outs for butterflies. 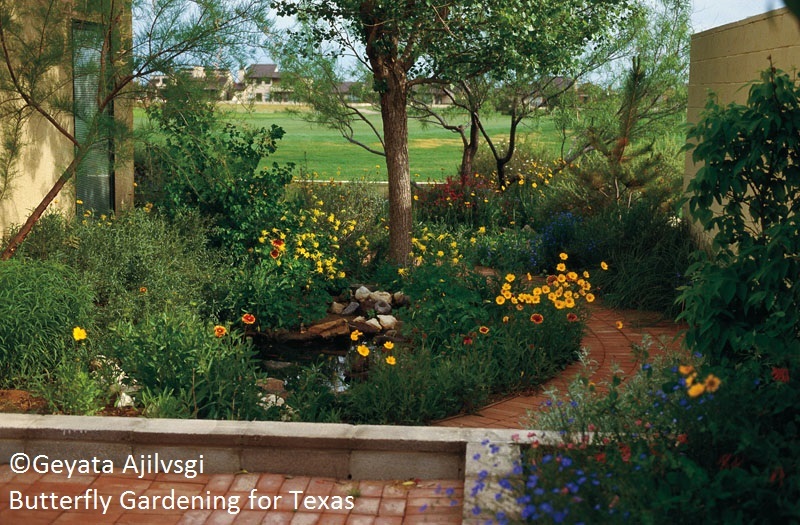 In her small yard, see how she turned a one-dimensional lawn into four seasons of layered habitat with mostly drought tough native plants. Oh yes, speaking of drought: on Oct. 26, April Rose from TreeFolks staggers us with the number of trees lost in just a few years and what we can do about it. 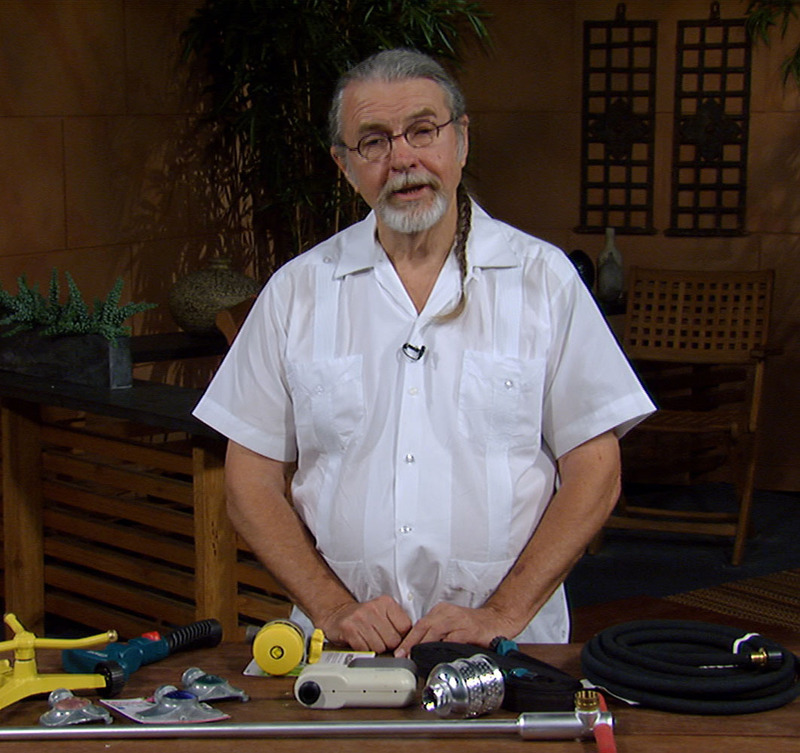 This week, John Dromgoole demonstrates watering devices to irrigate your trees efficiently and effectively for us and our wildlife. 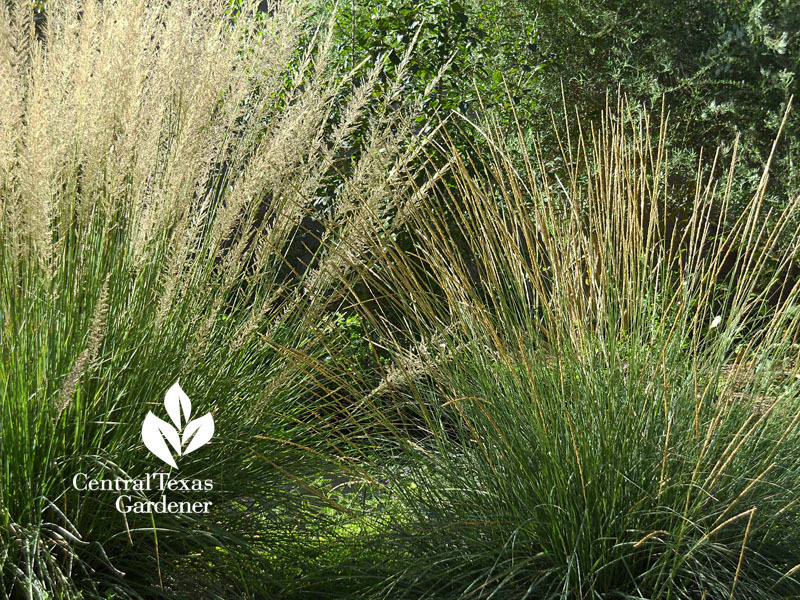 ← Fall into digging with exciting plants and a garden makeover!